First published in 1869, Lorna Doone is the story of John Ridd, a farmer who finds love amid the religious and social turmoil of seventeenth-century England. He is just a boy when his father is slain by the Doones, a lawless clan inhabiting wild Exmoor on the border of Somerset and Devon. Seized by curiosity and a sense of adventure, he makes his way to the valley of the Doones, where he is discovered by the beautiful Lorna. In time their childish fantasies blossom into mature love-a bond that will inspire John to rescue his beloved from the ravages of a stormy winter, rekindling a conflict with his archrival, Carver Doone, that climaxes in heartrending violence. 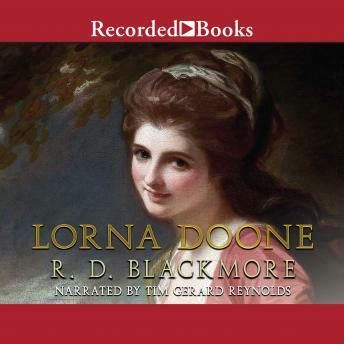 Beloved for its portrait of star-crossed lovers and its surpassing descriptions of the English countryside, Lorna Doone is R. D. Blackmore's enduring masterpiece.